Hallie Canning, left, and Mary Vella… their love for martial arts gives them a sense of purpose and focus. 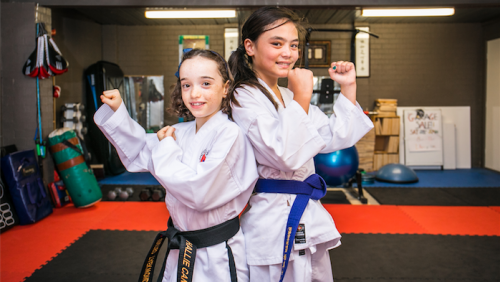 WHETHER it’s full-contact fighting or the ability to break boards with their bare hands, Hallie Canning and Mary Vella, both 10, say their love for martial arts also gives them a sense of purpose and focus. Hallie earned her junior black belt in taekwondo at nine, making her the youngest female to do so in United Taekwondo nationally, and Mary has won gold in her first kyokushin karate competition where she fought full contact. Both girls say they love being involved in martial arts for the fitness and the knowledge that they can take care of themselves. MARY Vella says “With kyokushin the focus is to avoid conflict, and our sensei teaches us to back off if we’re ever faced with a fight. Mary says she started kyokushin karate at Shinzo Dojo in Mitchell last year because her brother and other members of her family were involved. Kyokushin is Japanese for “the ultimate truth”, and the full-contact martial art’s philosophy is of self-improvement, discipline and hard training. 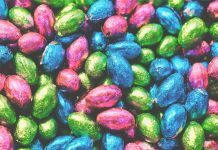 “It can be challenging but those things are also what I love, like the tough training and repetitions needed for competitions and grading,” Mary says. Mary says she goes to karate twice a week and sometimes on Saturdays, and that she’s really focused on the sport. “The whole point is not to fight, but to know that you can if you have to, and to keep on going when you’ve got nothing else to give. So that’s how we get trained,” she says. 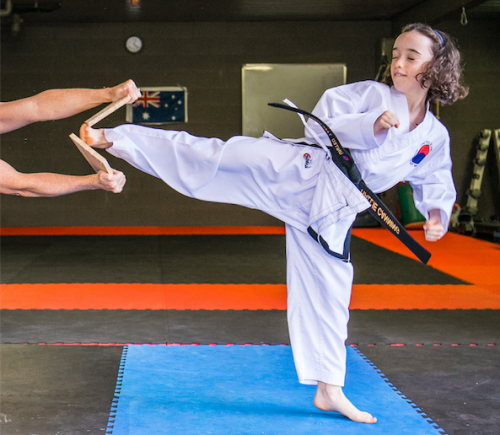 HALLIE Canning says she started taekwondo with United Taekwondo in Wanniassa when she was three because her parents are instructors, but says it wasn’t until she was about six that she developed a passion for it. “I didn’t really know what I was doing when I was little, it was just about fun and enjoyment,” she says. “As I got older I started to think of it as a proper sport, not just a thing you have to go to. The Korean martial art taekwondo involves learning techniques, patterns and kicks, with a focus on self-defence, keeping the peace and the tenets “courtesy, integrity, perseverance, self-control and indomitable spirit”. Hallie says her drive and focus helped her train for the 12 months’ preparation required to get her junior black belt, while also playing Division 1 soccer. “I find the constant sparring hard, but I also enjoy the challenge – it’s good to push myself once in a while,” she says. “On the day I was told I’ve got my black belt, it was like I was dreaming. My head was spinning and I was a little bit dazed, because I couldn’t really believe it. And everyone was swarming around me. Mary says she is preparing for her next competition in July. “Karate is good for girls as a great thing to learn and for fitness. I don’t think martial arts should be just for boys and girls should definitely join in, as it’s a good skill to have,” she says. “If girls and boys are equal, girls should be able to stand up for themselves,” says Hallie. “It doesn’t have to always be boys protecting girls, and I know lots of girls who love taekwondo and I don’t see why they can’t do it because it’s so much fun.